Formula One drivers have been asking for better head protection for some time now. 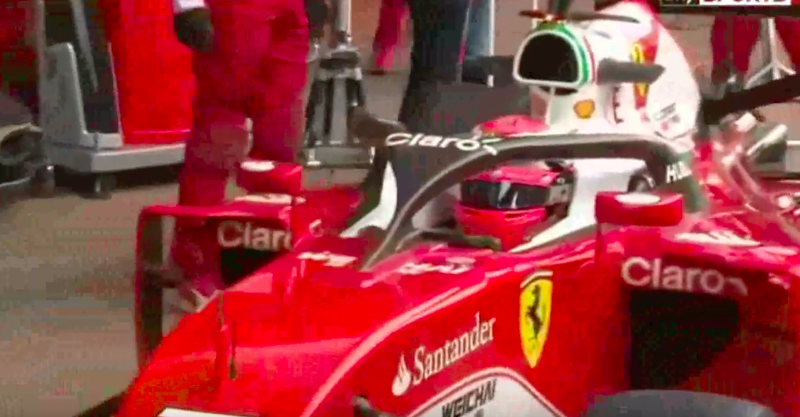 There’s progress on that front, because Ferrari’s Kimi Raikkonen just tested out Ferrari’s noggin-protection concept, and so far it seems feasible. But what’s it like to race with the giant post in front of your face? Called the “Halo” cockpit safety concept, the new carbon-fiber structure wraps around the canopy and integrates with the monocoque in three places: one directly in front of the driver and on on each side. Raikkonen took a single lap in the car and found the visibility to be “okay,” according to ESPN, and that is definitely a lot better than what Kimi would have said if it were in any way Not Okay. So that’s good news. Ferrari says the new design is “pretty close” to being finished, though the final design could be slightly wider and have a hinge for easier driver egress. Here’s a clip of the Halo head protection concept in action.